Dr. Chrissy Cheretakis, DMD, PhD, FRCD(C) is very enthusiastic about her work as an orthodontist, she delights in getting to know her patients to help her determine what treatment plan suits them best. Providing exceptional patient care in a friendly and comfortable environment is at the center of her focus as an orthodontist. Dr. Cheretakis graduated from University of Montreal with a Doctorate of Dental Medicine (DMD) and an award granted by the Ordre des Dentistes du Quebec for academic excellence. She then went on to complete a General Practice Residency at the Montreal Children’s Hospital of the McGill University Health Center. Immediately after her residency, she pursued her Specialty Certificate in Orthodontics at the University of Toronto while simultaneously carrying out a PhD degree in the medical fields of hematology, immunology and bone marrow transplantation in children at the Toronto Sick Kids Hospital. The Canadian Institute of Health Research awarded Dr. Cheretakis with a prestigious Fellowship grant to fund her research studies. The results of her work contributed to improving the outcome of bone marrow transplantation treatment in children. She summarized her innovative research in highly rated peer-reviewed medical publications. 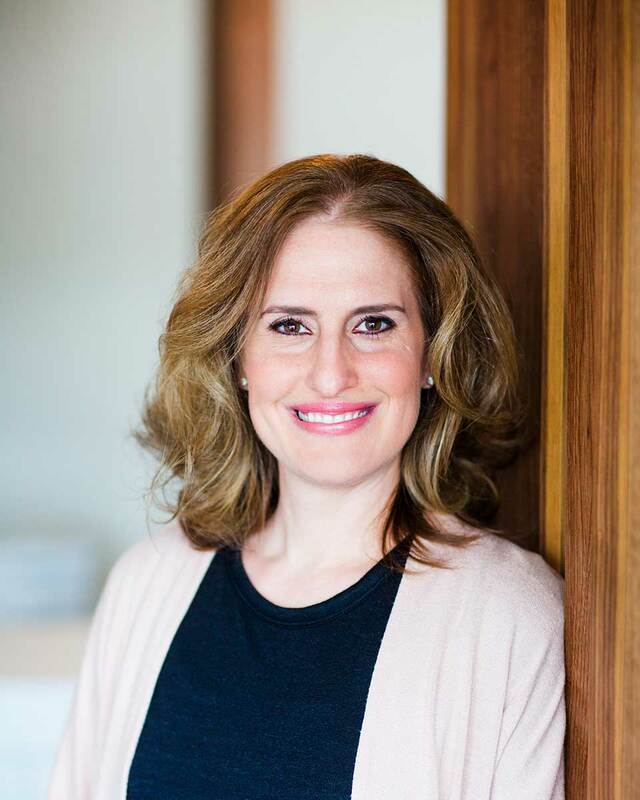 She was an associate professor of Orthodontics at McGill University and worked for many years as an orthodontist before venturing off to build Rockland Orthodontist, a practice that truly embodies her treatment philosophy for quality and personalized care. Staying active and spending time with friends and family is an important part of her life. Working towards being healthy and fit helps Dr. Cheretakis stay sharp and focused on her work. Her passion for running has led her to participate in a few half marathons and she hopes to one day complete a full marathon as well. Her closeness to her family and being a devoted mother helps her better understand and relate to the needs of the parents and children that seek her help in improving their smiles. Ask her anything about orthodontics and she will always make sure to answer your question with genuine enthusiasm and in a manner that is easy to understand. Lemieux G, Hart A, Cheretakis C, Goodmurphy C, Trexler S, Retrouvey J-M. Computed Tomographic characterization of mini-Implant insertion pattern and maximum anchorage force in human cadavers. Am J Orthod Dentofacial Orthop. 2011; Sep; 140(3):356-65. Cheretakis C, Locker D, Dr..or Y, Glogauer M. Oral health-related quality of life of children with neutropenia. Spec Care Dent. 2007; Jan-Feb;27(1):6-11. Cheretakis C, Leung R, Sun Chun Xiang, Dr..or Y, Glogauer M. Timing of neutrophil tissue repopulation predicts restoration of innate immune protection in a murine bone marrow transplantation model. Blood. 2006;108:2821-2826. Cheretakis C, Dr..or Y, Glogauer M. A noninvasive oral rinse assay to monitor engraftment, neutrophil tissue delivery and susceptibility to infection following HSCT in pediatric patients. Bone Marrow Transplant. 2005; 36:227-232. Things that are not straight!